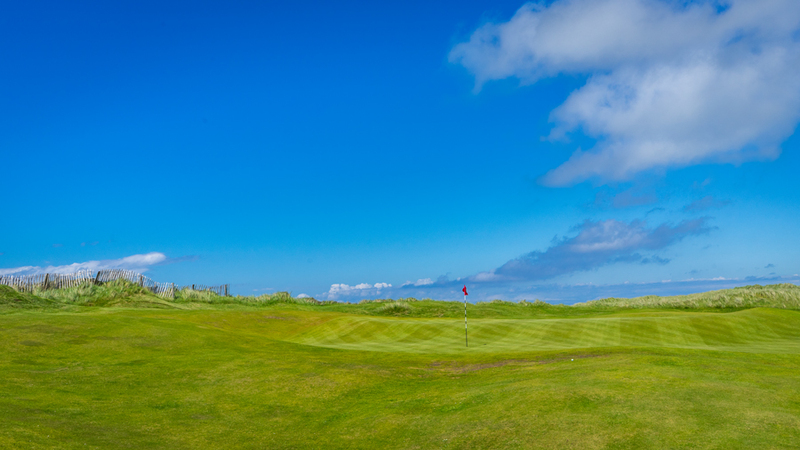 After the amazing experience of Dundonald Links and the beautiful area of Ayrshire with its many golf courses (well I really need to visit this part of Scotland very very soon again) we set off to Kintyre Peninsula for our next stop. After a five-hour road trip we finally arrived in Campbeltown where we just dropped off our luggage at the hotel. 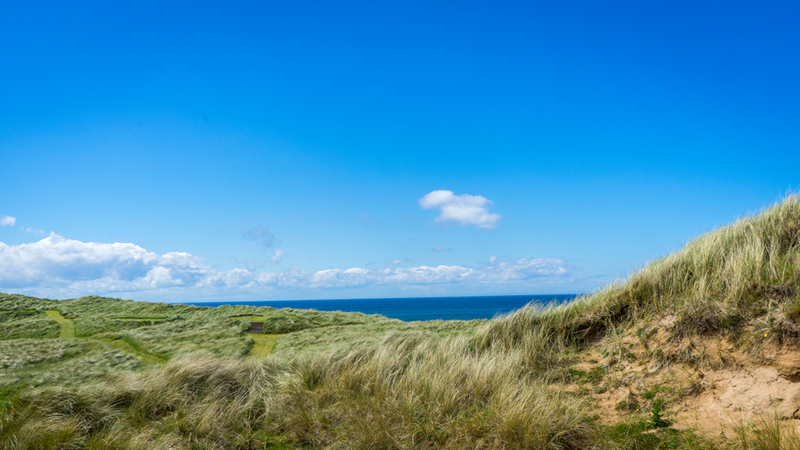 Then we drove around the very western part of Scotland to get various views about the area before we reached our final destination, Machrihanish Dunes. 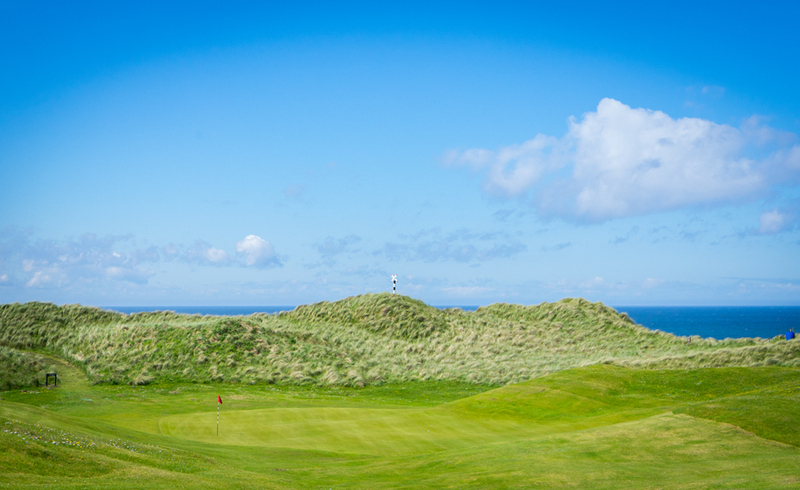 The weather wasn´t still very nice but at least ten degrees warmer than in Troon. 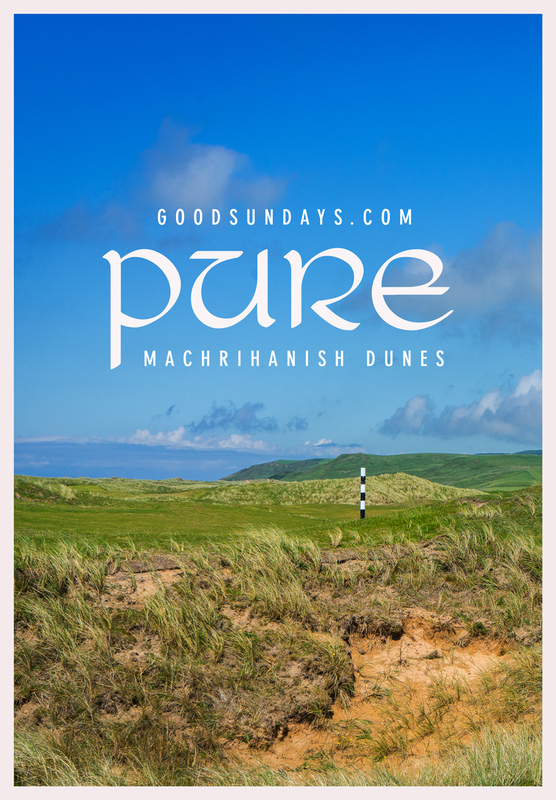 We went around Machrihanish for a small walk before we decided to have a recommendable delicious diner at the Old Clubhouse of Machrihanish. The first impressions still in mind, I woke up on the next morning and it was raining like hell. I called the clubhouse if it would be possible to move the tee time and the super friendly stuff just gave me the option to start an hour later. As we arrived the rain was gone but the wind was still there. We went to the range and I tried to practice some of those „below the wind“ shots. It even worked partially. Some last advices from the starter, then we started. 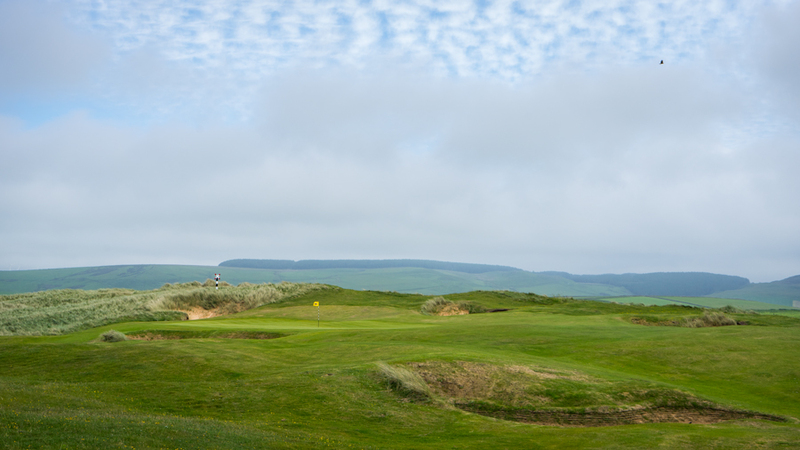 The first three holes of Machrihanish Dunes gave me an incredible first impression of what´s it all about. Hit and hope and straight or dead! 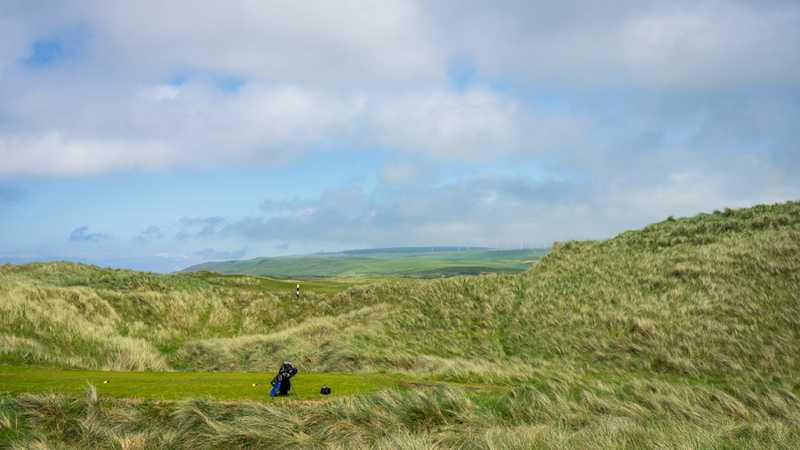 But again one of the best courses I have played so far. I really love the idea that this course is designed and build like back in the days. Maintained without any fertilizer and chemical additions, just pure. 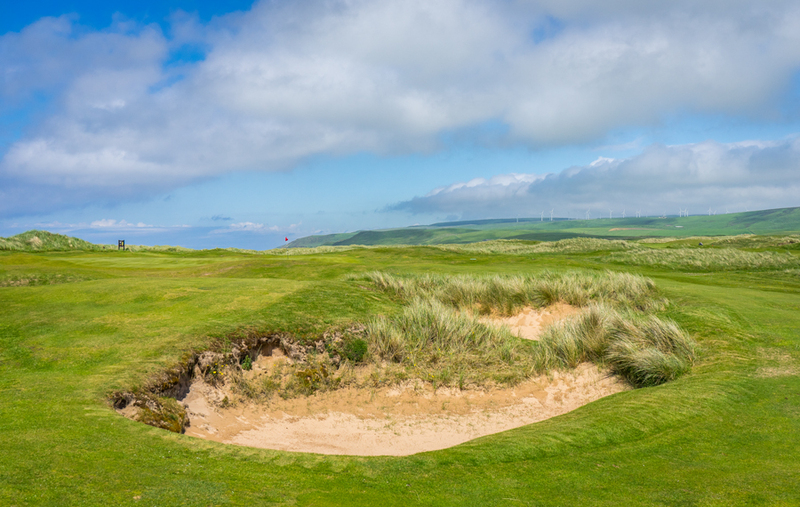 Many blind shots across sandy dunes, grass hills mixed with huge natural bunkers and ultra bouncy fairways, just everything was dictated by the lay of the land. 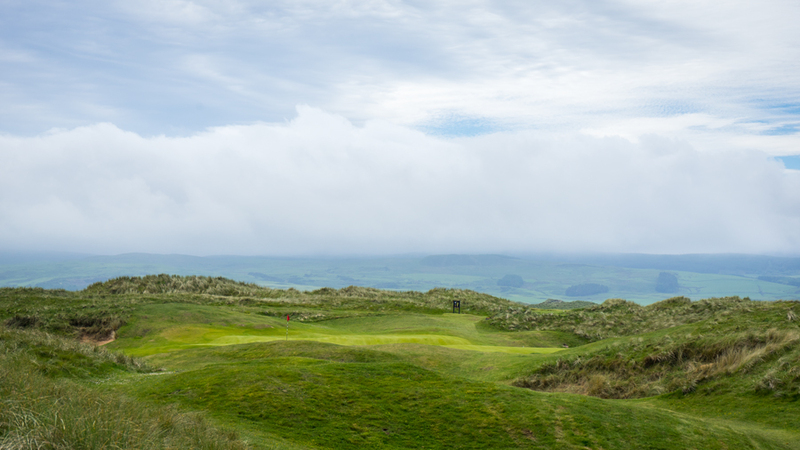 We were really blessed because the sun found its way through the clouds on the signature hole No. 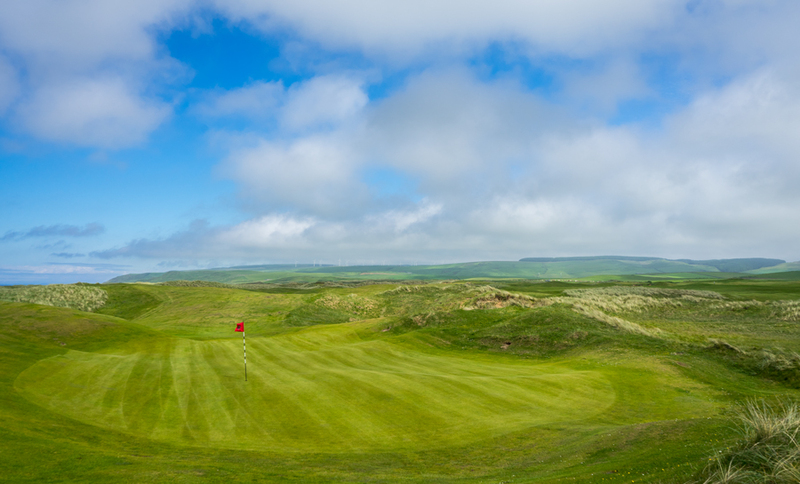 5, a short but divine par 3 with 165 yards from the white tees. 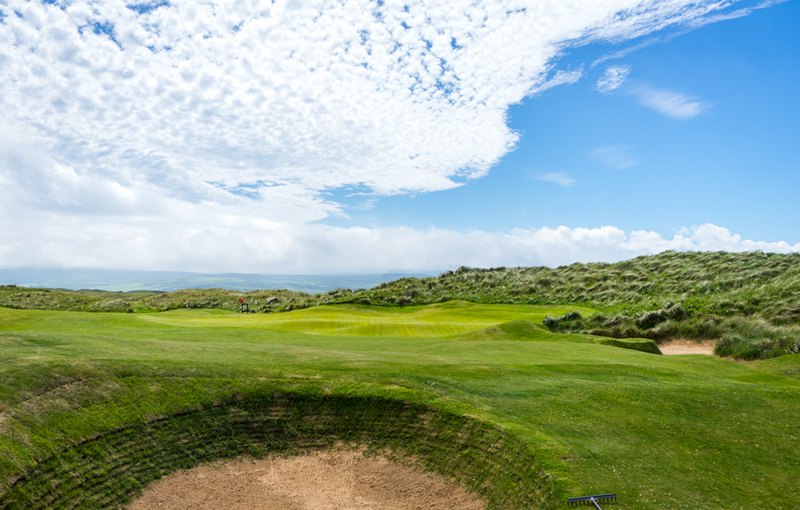 You need to be able to shape your shot because the wind is coming either from the right or left side like in my case and you don´t want to end up in this huge pot bunker on the left side in front of the green. I missed my birdie opportunity here, what a shame, but anyway I fell in love with this hole and this amazing golf course. 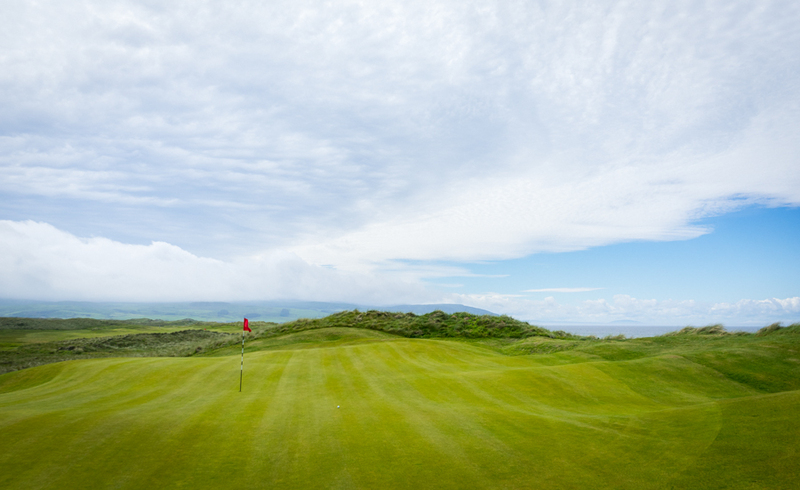 Almost every hole is different and you need to be creative to play a good score. Beside this fact it´s such a quiet place. 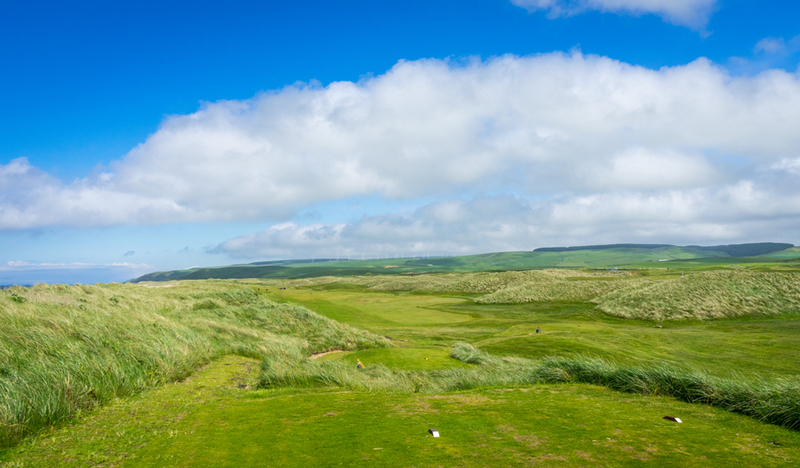 You can really set your mind free while walking on this amazing fairways. 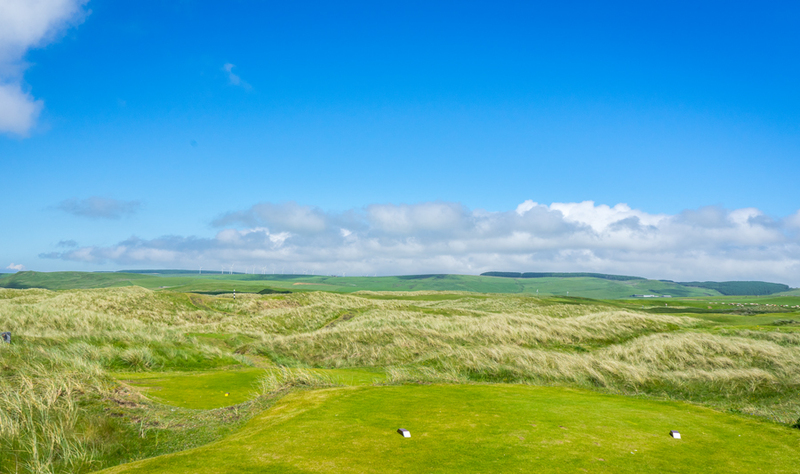 It´s you, the nature and this magnificent golf course named Machrihanish Dunes. 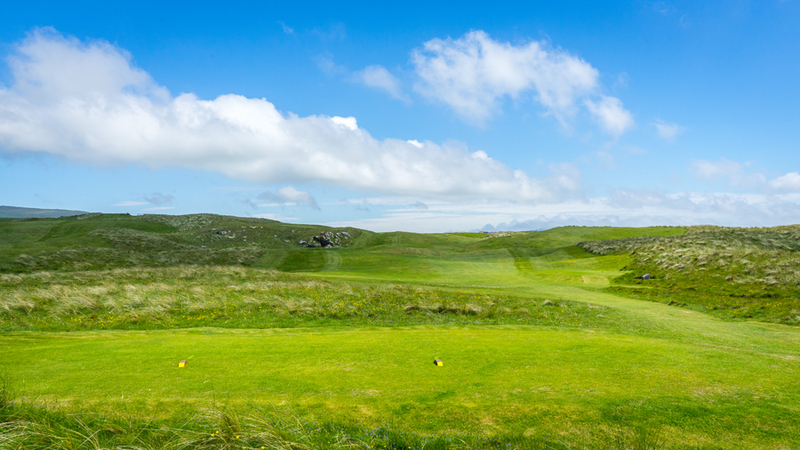 Make sure you bring some balls because either you don´t find or want to find your ball in this rough. 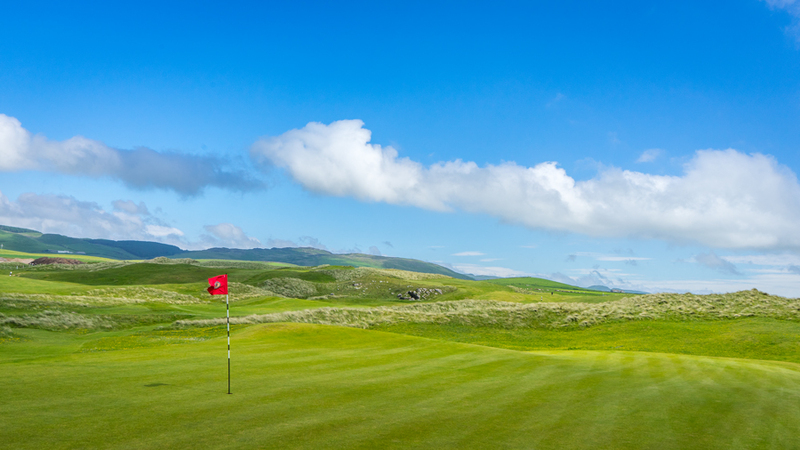 But once again this course is a must on every golf trip through Scotland. 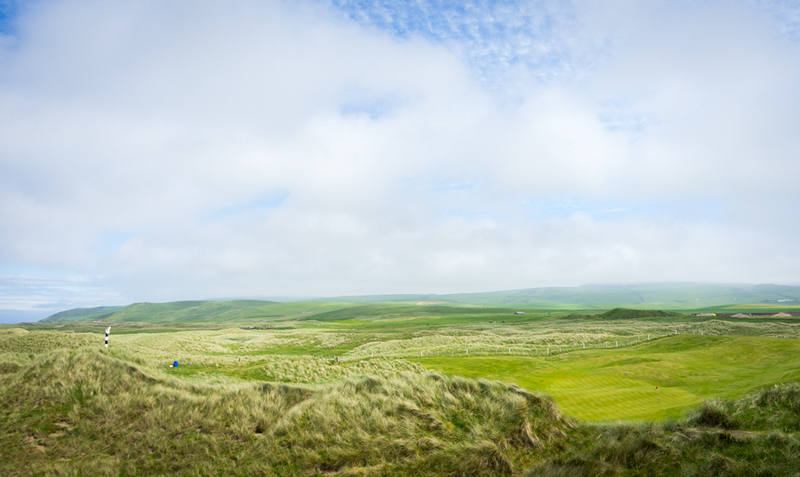 Really everything was just perfect and natural, so different to all the other courses I have discovered before. 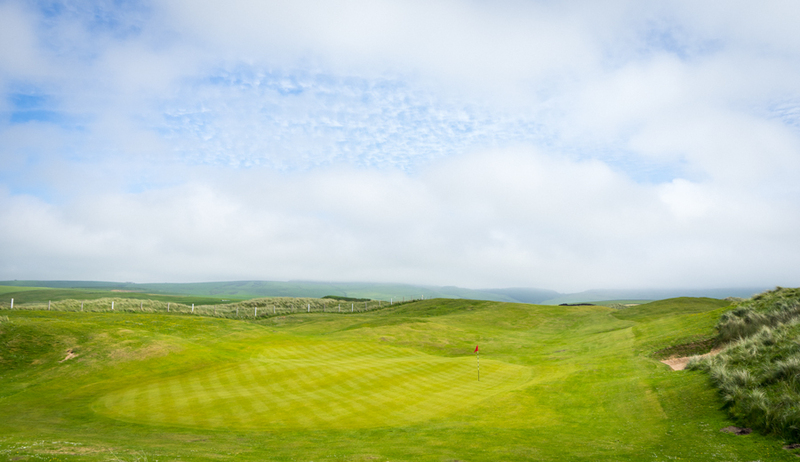 An especially charming detail of Machrihanish Dunes are the obvious painted crosses on every hole with a blind shot. 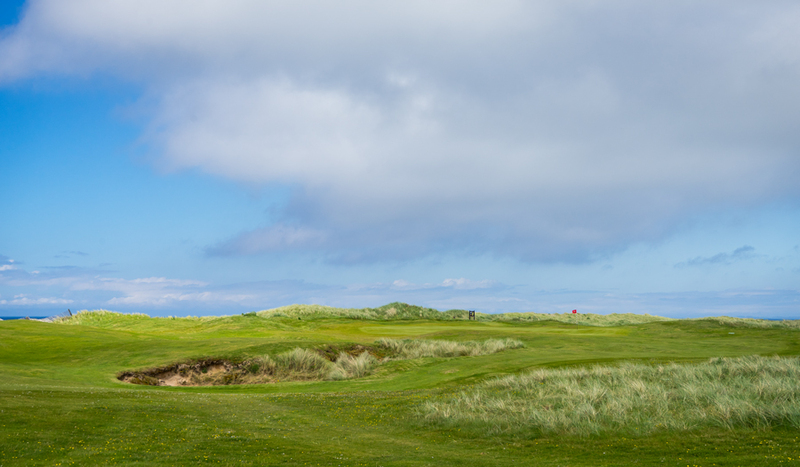 Machrihanish Dunes is a pure golf adventure and highly recommended. 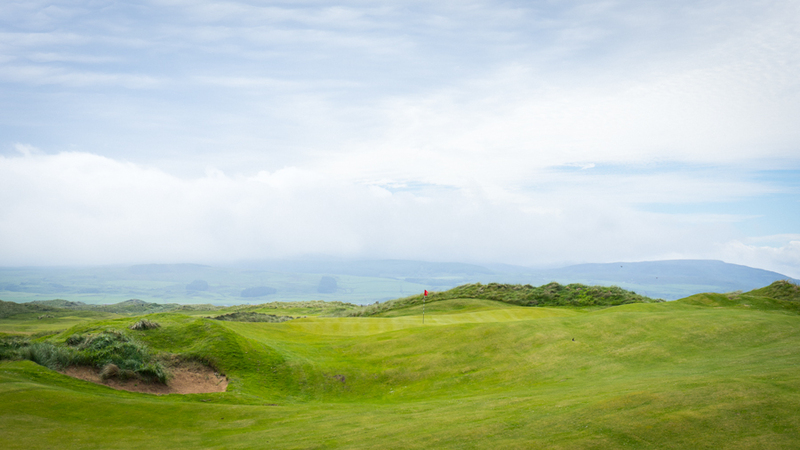 I only wish, I could spend some more time to play Old Machrihanish and this unknown smaller golf course called Dunaverty Golf club as well. I already promised that next time I will spend a month or even more in beautiful Scotland.